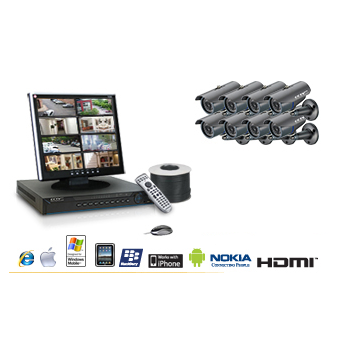 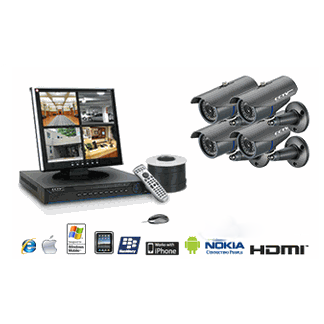 This Watchdog Surveillance package features 16 IR cameras, DVR, 22″ LCD monitor and all required cables! 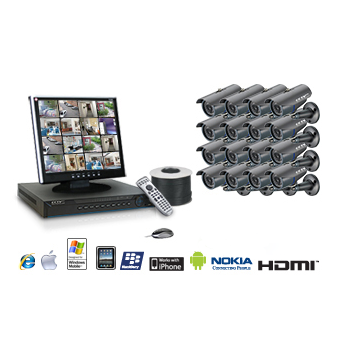 The Watchdog Surveillance 16-Camera package is perfect for home and business situations that require a large number of monitored areas. 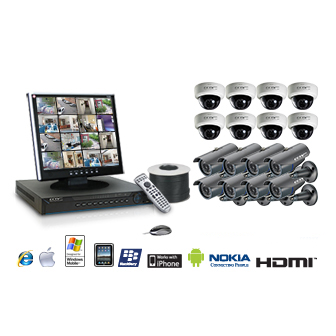 The bullet cameras feature 650 lines of ultra-high resolution, and the night vision allows you to recognize subjects up to 100 feet away in complete darkness! 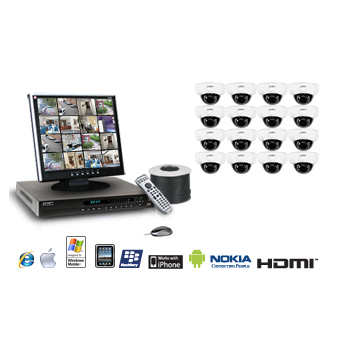 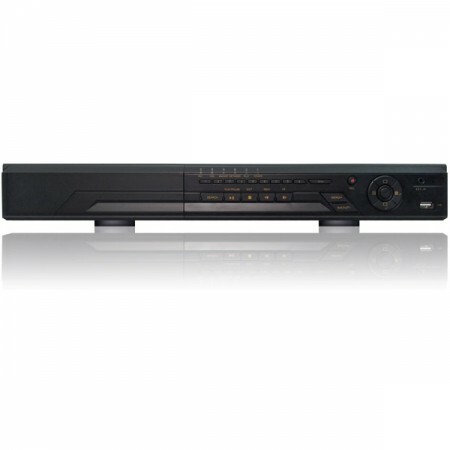 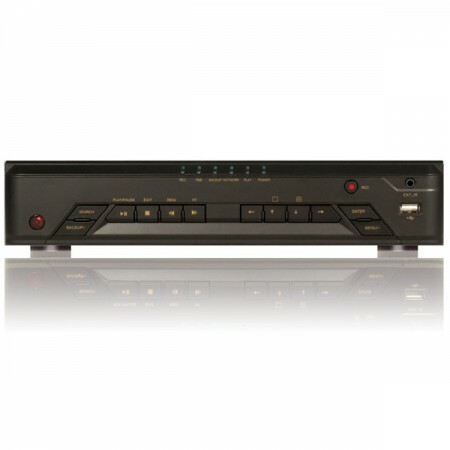 Includes: 16-Channel DVR Recorder, 16 Bullet IR Cameras, All Required Cables, 22″ High Def LCD Display, DVD Instruction Manual and 3-Year Warranty.